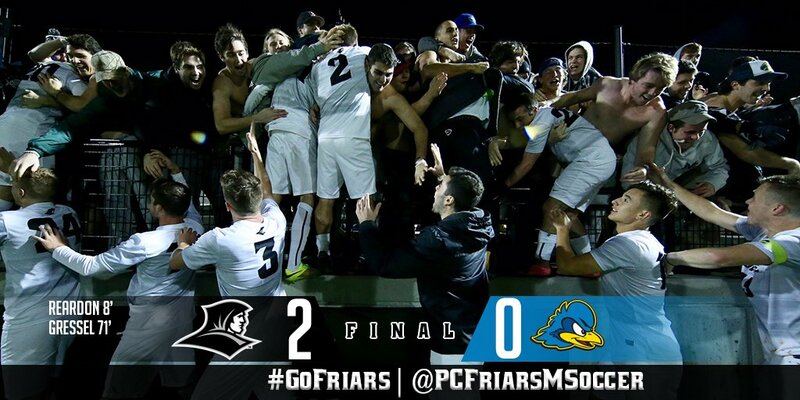 In a first round NCAA Tournament matchup, the Providence College Men’s Soccer team defeated the University of Delaware Blue Hens on Chapey Field at Anderson Stadium in Providence, RI last night 2-0. After starting the season 4-5 after a loss to UConn, the Friars were able to roll of an incredible streak of 8 straight wins to claim the Big East regular season title before losing to Creighton in the Big East tournament. Junior Brendan Reardon chose the most important and opportune time to score his first ever collegiate goal for the Friars, putting one in the back of the net on a miscommunication between the Delaware keeper and defender, resulting in a backwards deflection on an attempted clearance by Delaware goalie Todd Morton. Reardon’s pressure on the defense directly led to his goal just 8 minutes into the game. 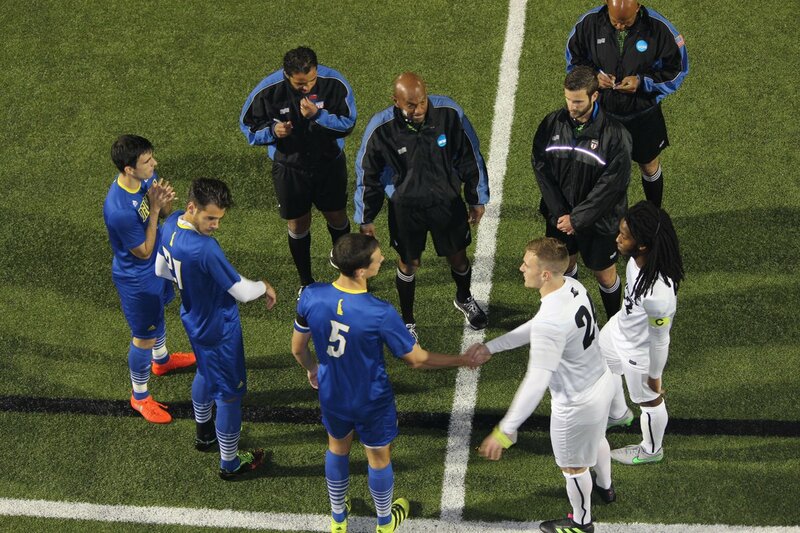 Senior Captain Julian Gressel was able to put things out of reach with a goal in the 71st minute to put the Friars up by two on a through ball that got him alone behind the Blue Hens’ defense. With only himself and the goalie, Gressel was able to finish for his 12th goal of the season. Sophomore Goalkeeper Colin Miller had a couple of impressive saves (4) including a couple of frantic free-for-all chances in front of the net. 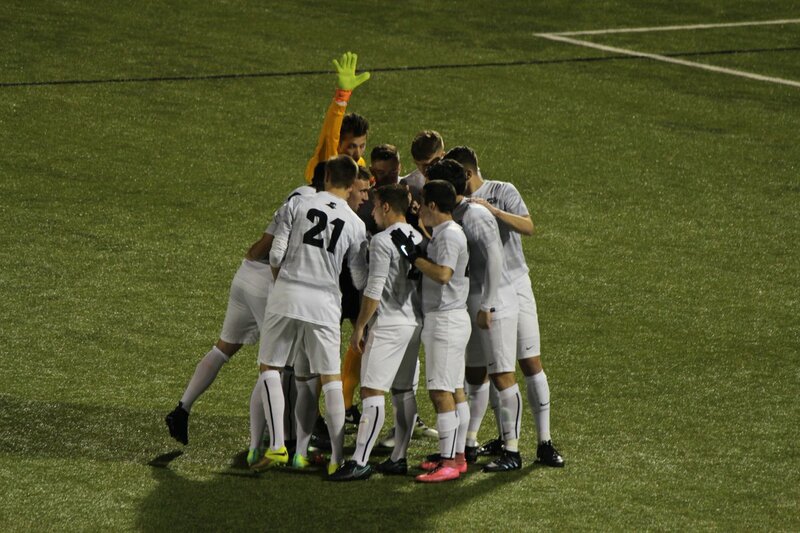 This was the 8th clean sheet for the Friars on the season. The Friars advance to the 2nd round to take on the top seed and undefeated Maryland Terrapins on Sunday at 7 PM. As for the other Big East teams in the NCAA Tournament, Villanova lost to Akron 2-0, Butler takes on Southern Illinois University – Edwardsville on Sunday at 2 PM after a first round bye, and Creighton beat Tulsa 3-0 to advance to play Kentucky on Sunday at 4:30 PM. Post-Game Recap from Coach Craig Stewart, whose accent is always awesome. 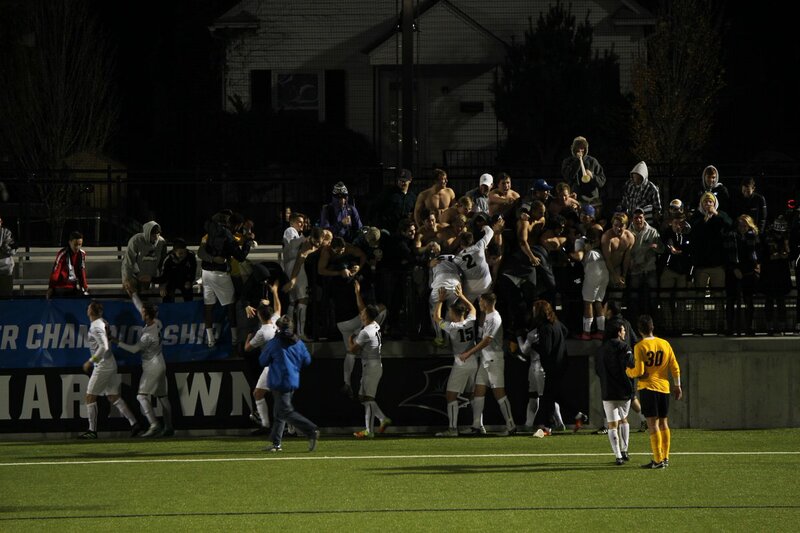 Some pictures courtesy of @PCFriarsMensSoccer.